Our student athletes take their talents to colleges, universities, and professional leagues when they leave Country Day. 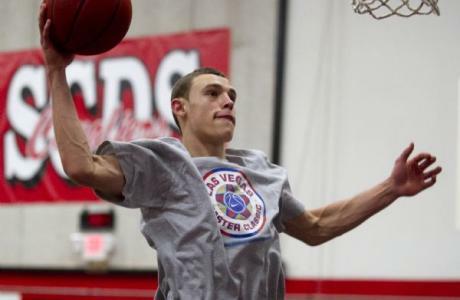 Please check back on this section as we profile the many athletes playing at the next level. Amelie Fackethal, ‘18, is a swimmer at Stanford and a USA Swimming National Junior team member (2017-18). Amalie is interested in pursuing a major in Human Biology or Psychology at Stanford. 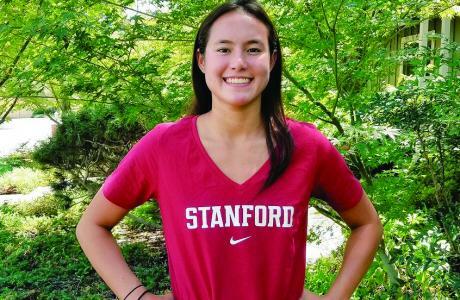 She is a Freshman member of the Stanford Swimming and Diving Team and just won both the 2019 PAC-12 Championship and the 2019 NCAA Division 1 National Championship. 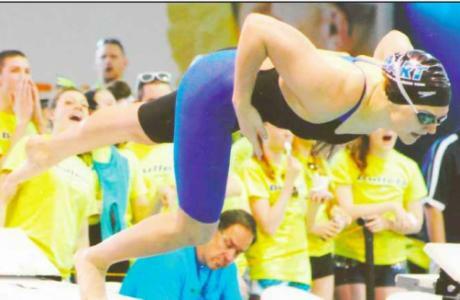 At the NCAA Championship, she earned five All-American honors, placing 13th individually in the 100 Freestyle, as well as Top 8 in 4 relay teams, the 200/400 Free Relays and 200/400 Medley Relays. 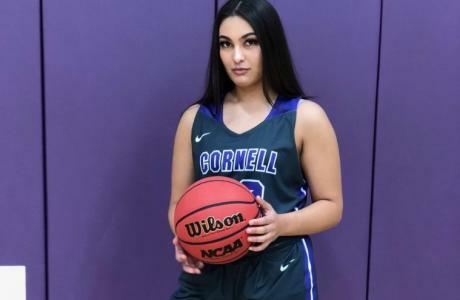 Yasmin Gupta, ‘18, is majoring in pre-medicine and minoring in both kinesiology and psychology at Cornell College in Mount Vernon, Iowa, to which she was accepted on a full-ride basketball scholarship. Marigot Fackenthal (‘17) is a sophomore at Cornell University, majoring in Mechanical Engineering with a minor in Astronomy. 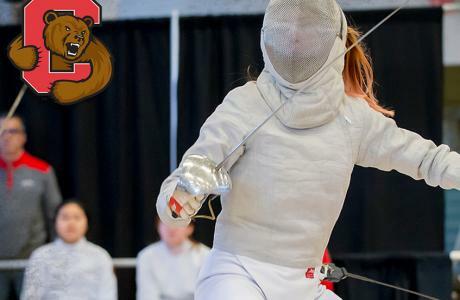 She led Cornell Women’s Fencing Team as the Vice Captain in 2019, earned NCAA Fencing National Championship Institutional Alternate status and was inducted into Cornell University’s “400 Club” which honors varsity student-athletes who achieve perfect 4.0 semester grade point averages. Marigot has served as an Undergraduate Teaching Assistant for Cornell’s Physics Department as well as for the Mechanical & Aerospace Engineering Department. She is also working as a Research Assistant in Cornell’s Bewley Applied Turbulence Lab. 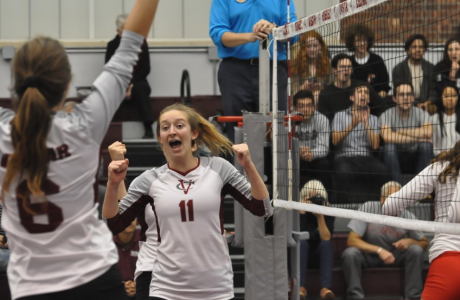 Jenny Kerbs, ‘16, attends Vassar College in Poughkeepsie, New York, where she plays volleyball. She has become a reliable hitter for the Brewers, playing in 96 of Vassar 106 sets as a sophomore. Claire started her collegiate career as a swimmer at Harvard. She was top nationally ranked 15-16 800 LCM FR-R (8:19.32) (4th for 15-18) and was fourth at the 2014 Summer Junior Nationals as a lead off. 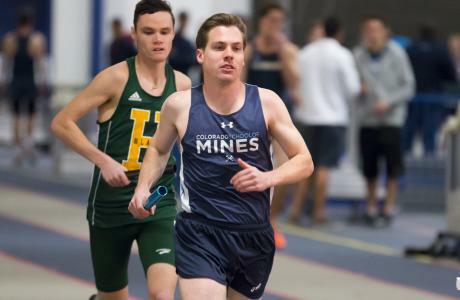 Logan Winfield, ‘13, attended Colorado School of Mines, where was a Cross Country distance runner. He graduated with a degree in Chemical and Biochemical Engineering. In 2017, for the first time in the program’s history, the NCAA-champion Colorado School of Mines men’s cross country team was named the USTFCCCA Scholar Team of the Year. The Orediggers earned the honor as the highest-finishing team at NCAA Championships to have earned All-Academic Team honors with a team GPA over 3.0. Logan received individual All-Academic honors. 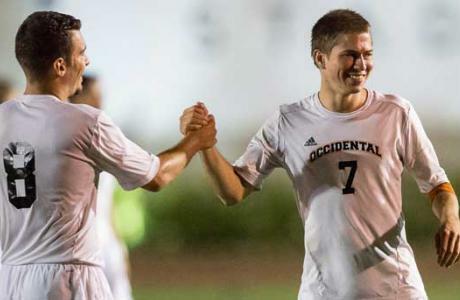 Morgan Bennett-Smith played soccer at Occidental College, where he was named first-team all-conference and all-academic his sophomore and junior seasons. After graduating with a degree in Biology, he moved Saudi Arabia to attend King Abdullah University of Science and Technology, where he is earning a master’s in coral genomics at the Red Sea Research Center.